Our Professional Inflatable Spearfishing Float is a great all around float for small to medium sized fish and great for travel. It measures a whopping 41” long and 10” in diameter, producing 80 lbs of lift at the surface. Sometimes you want a weighted keel and flag. Sometimes you don’t. 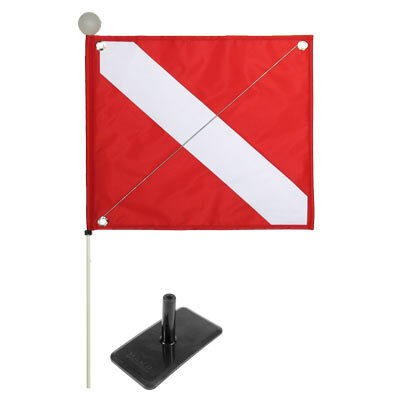 The weighted keel keeps your Dive Flag upright. 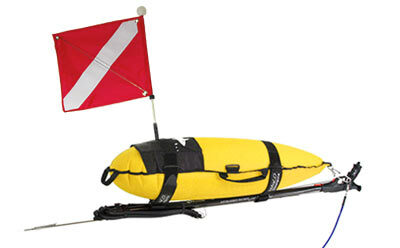 Weighted keel and flag not needed: When diving within range of a boat that has a legal dive flag properly displayed. 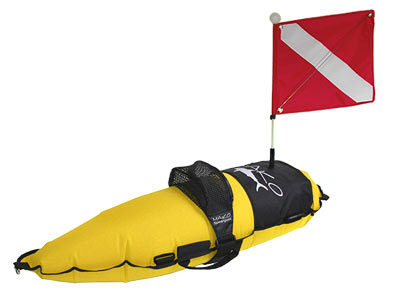 We offer our Inflatable Float with an optional weighted keel - an external, removable weight so you can use the float with or without the Dive Flag. Choose to provide your own weight or have us include one with your order. This awesome float easily inflates using the oral inflate valve and when not use the float can be deflated and stored in the included travel bag. The float has 3 handles - one on each side and another on the end providing easy grasp for resting and rescue. 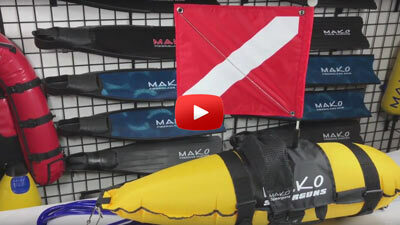 I was in the market for a new dive float and came across the mako brand, on first impression its a solid purchase. Perfect for spearfishing going from shore to rocky or reef environments, don't need to have a 3atm for the fish you can land there. 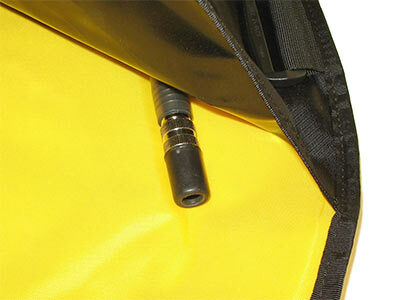 Hi-vis, easy to inflate, carry your hoop of death, and serves even for a pit stop rest. With the straps is perfect for a polespear or another speargun and there's no feeling of an extra drag like you would if just attach it in vertical manner. Customer service provided by Dano and his staff is incredible! Better than I expected! I also have a much more expensive Riffe float and when you compare the two there is not a Nichols with a difference.